As some of you know, this wouldn’t be my first time in Colombia. Until May last year I was Nordic Approach’s green buyer there and visited this beautiful country several times a year. This time, in November 2018, I got the chance to experience this from a client’s perspective. I had met up with Kenji from Fuglen Coffee Roasters Tokyo and Kaneko from Weekenders in Kyoto already the night before, so we traveled together down through Huila, only stopping for the obligatory pan de yuca (cassava flour and cheese bread) and avena (sweet oat milk) at a roadside bakery just south of Neiva. For me this is compulsory and almost a symbolic meal, signifying that I have officially arrived Colombia. Luckily everyone else traveling with me seem to feel the same way after sticking their teeth in to the soft, straight-out-of-the-oven hot cheese rolls. It was Alejandro Renjifo who introduced me to this place the first time I came here in 2014. Alejandro is the founder and director of the export company Fairfield Trading (FFT), and he was now waiting for us in San Agustín. We arrived and checked in to our rooms in a bungalow like hotel just near the San Agustín Archeological Park – a UNESCO World Heritage Site and a must-see attraction if you have time between cuppings and coffee farm visits. The rest of the group arrived in the afternoon. 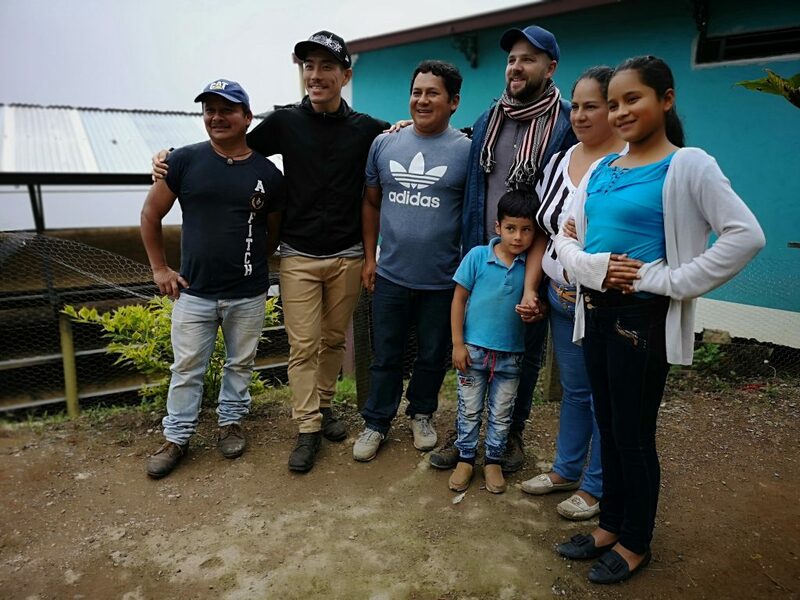 They had been in Colombia a few days already visiting Garzon and Pitalito together with Joanne and Linda from Nordic Approach and the guys from Azahar (another exporter). San Agustin has a special vibe compared to other places I’ve visited in Colombia. It attracts a lot of tourists because of the Archeological Park, so it is open minded and used to visitors. At the same time it seems the people of the town are close to its indigenous spirituality and folklore. Spiritual and shamanic power through the agency of ritual, herbs, and magic doesn’t seem so far fetched here. Doña Amparo, the owner of the hotel we usually stay at in San Agustin always has an herbal prescription for any ailment you might have. You really get a sense of magic realism here. 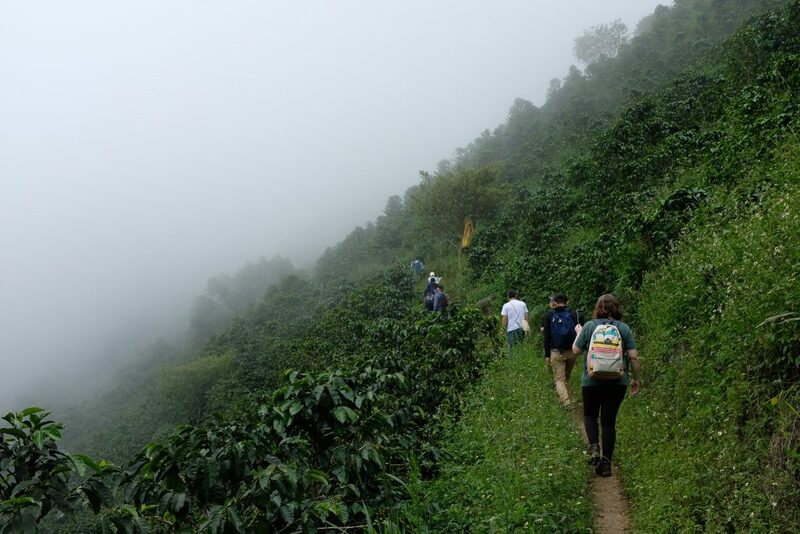 There must be some magic in the soil as well, as this area is literally packed with amazing coffee producers. San Agustin and the neighbouring towns Bruselas and Palestina are home of some of the best coffees I’ve ever tasted. In San Agustin we visited Daniel Muñoz Ordoñez and Olver Ortega. Olver Ortega is the father of Esnaider Ortega who has been working for FFT for about five years now. When I met him on my first trip to Colombia he was just learning sample roasting at the lab and didn’t have much cupping experience yet. Now, 4-5 years later he owns his own lot of his father’s farm and is one of the best sample roasters and cuppers I know. 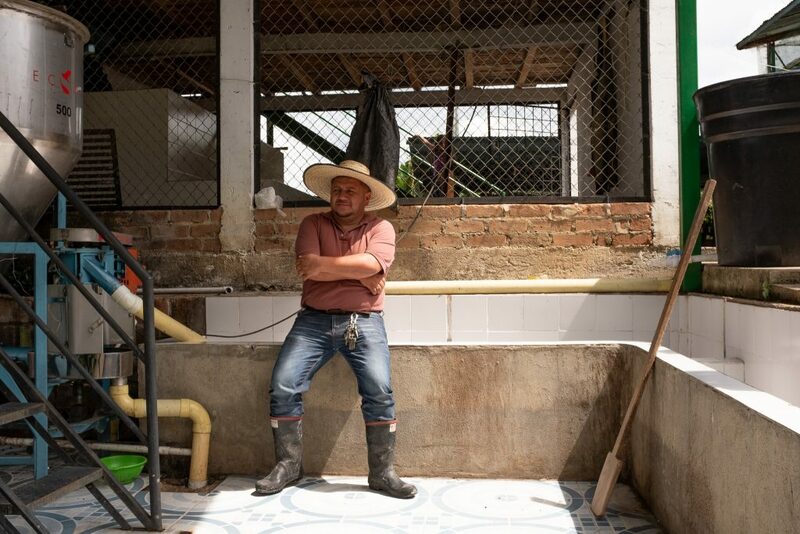 Daniel Muñoz Ordoñez was growing sugar cane until eight years ago when he decided to switch to coffee. 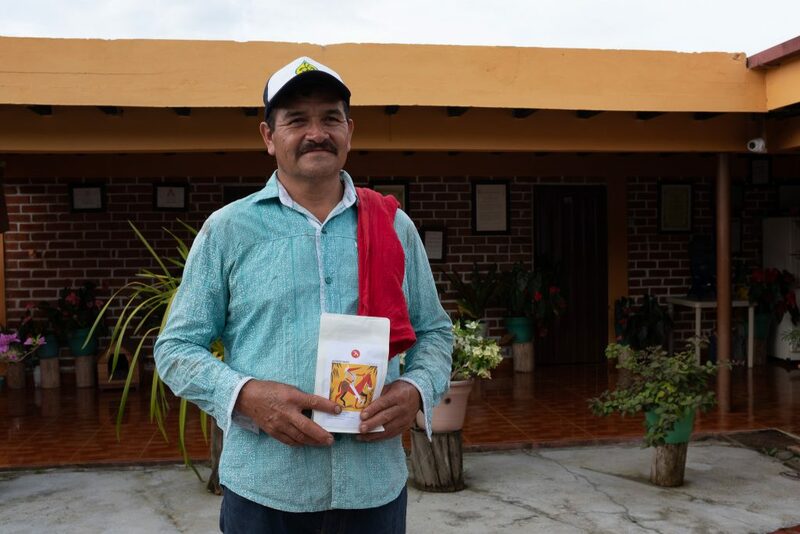 He has invested a lot in this transition ( much more than his wife is comfortable with), in building a very impressive beneficio, and time in growing different varieties now focusing on his Pink Bourbon. 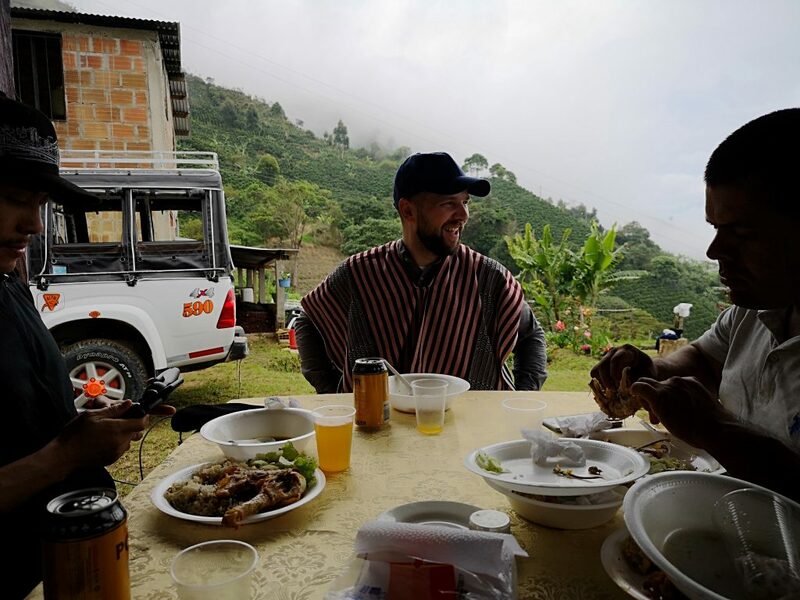 He has an impressive clear vision of where he is going, and he has over the last year started cupping with Alejandro and his team to better understand his own product and all the roasters visiting him. Both him and Esnaider joined us on the next part of the trip: The Tarqui microlot competition. But before we headed to Tarqui and the competition we spent a whole day with Sandra Milena Mora and Alfredo Baos in Palestina. These are two producers that are neighbours and that Nordic Approach have been buying from for about five years, and they are two of the most consistent producers I know, both in terms of physical quality of the coffee and in terms of flavour. 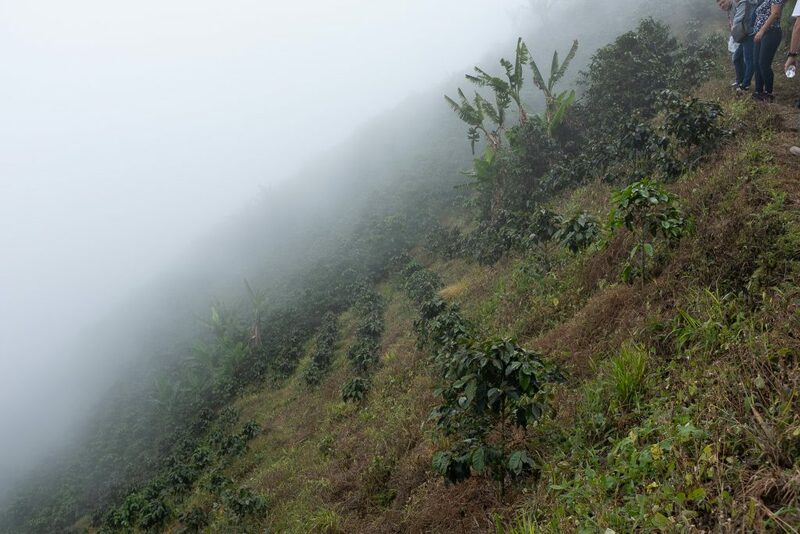 They both grow Tabi and Caturra, and their coffees have a very distinct and recognisable profile, representing what I think of a typical Southern Huila flavour profile: tropical fruits, citrus, sweet, and with a wonderful velvety mouthfeel. 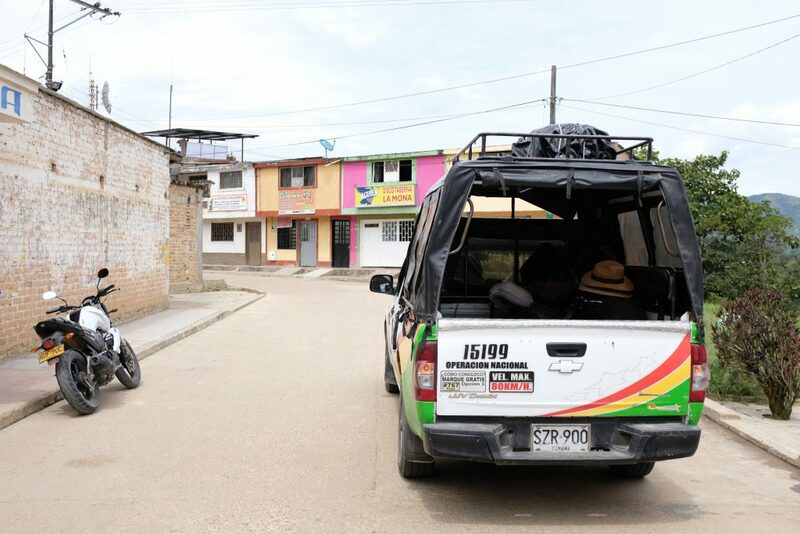 After some relatively easy going days in San Agustin we waved goodbye to hot showers and headed north to Tarqui for the 2018 Tarqui Cup. The competition is arranged by Nordic Approach and FFT, and was first held in December 2015. 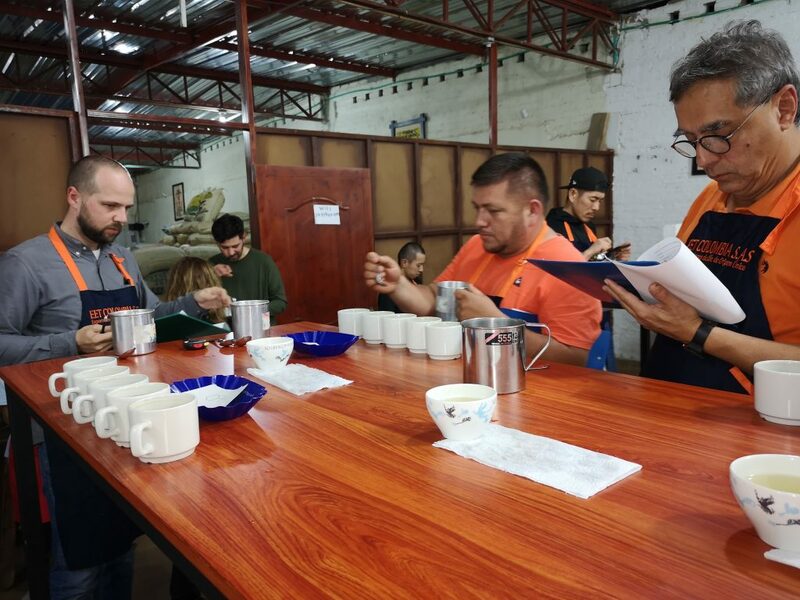 The producers are informed about the competition in advance so that they can be well prepared and be extra careful when picking and processing the coffee in the period leading up to the competition. To be allowed to enter the competition the farmers should fulfil a set of certain parameters (moisture content, yield factor, lot size, and so on). And when all the entered lots have been approved by the FFT team, the competition is ready to begin. I have been to all of the Tarqui Cups since we started it, and I honestly think this was the best one in terms of the average level of the coffee. As a green buyer for Nordic Approach I would by all the lots I liked, or that my clients liked. But now, as a roaster myself, I had to select and decide for a limited amount which was a new experience for me. Together with Kenji of Fuglen Coffee Roasters in Tokyo, we decided to buy the winning lot, not only because it was absolutely delicious and scoring 90 points, but also to support the competition itself. I think competitions like this one are really great and generate a lot of positive motions. They connect the producers with the buyers, they inspire producers to reach for the next level, they connect the producers with each other by creating a feeling of community, and they award great premiums for the ones that make it far enough. I would encourage roasters to support and participate at these events. 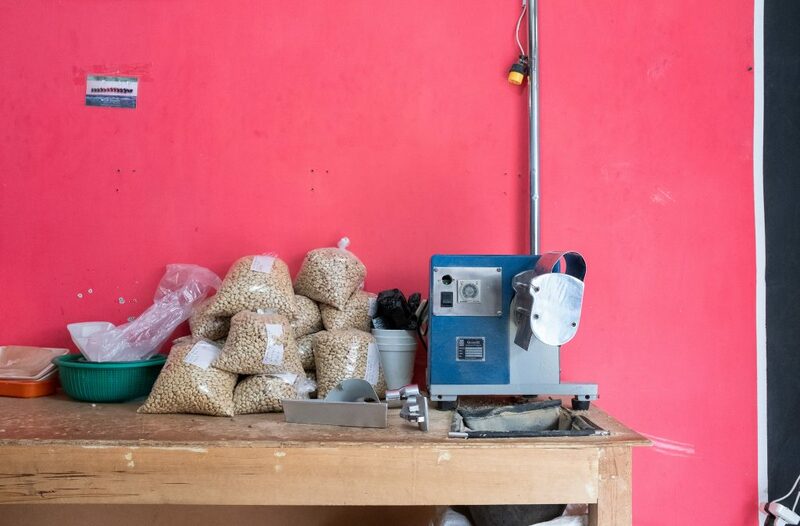 As a roaster you get a unique chance to thoroughly get to know a region, experience and get a better real-life understanding of the origin you’re visiting and the complexity of coffee buying and trading, and perhaps even meet the producer of your dreams. And finally it’s also a great chance to meet other roasters. In this regard I would like to honour Anne Lunell of Koppi Roasters and Christian Guldbrandsson of Morgon Coffee Roasters as they both have been participating on all but one of the Tarqui Cups, and they always have committed to buying the winning lot (although I snatched it this year). 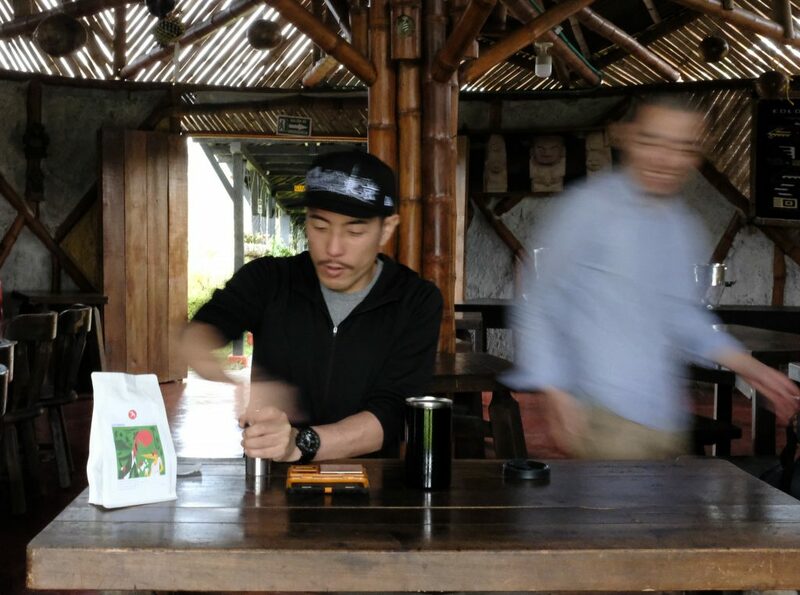 Also Eddie Twitchett of Roundhill Roastery and Kaneko Masahiro of Weekenders, who visited Colombia for the first time on this trip and are now hooked forever. Thanks to Nordic Approach for continuing the competition in Tarqui, and last but not least huge respect to the whole Fairfield Trading team who was working around the clock before and during the event to make it the success it was. We also bought two lots that didn’t make it to the Top 20, actually. The two brothers and neighbours Yaved and Aristides Guarnizo have been on the Top 10 list since day one of this competition, and I was expecting this to happen again this year. But as it turned out, neither of them made it to the final round. 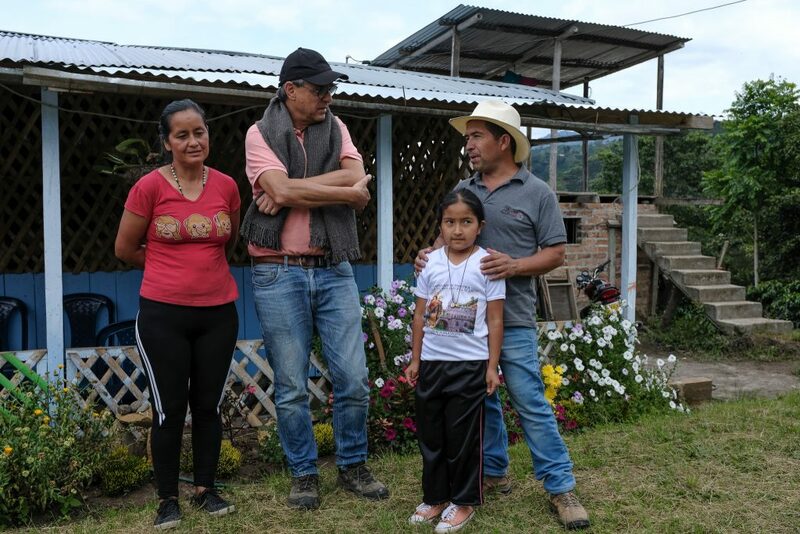 Through my work at Nordic Approach I have visited the Guarnizo brothers several times and established a friendship with them and their families. I have cupped their coffees every harvest since 2015, and seen how they have developed and how consistent their quality is. When they have been rewarded in the competitions earlier they have always put the extra money back in to the farm. Improving drying facilities, fermentation tanks, water purification system, educating themselves in organic and bio friendly farming, and so on. They are the producers of my dreams and that’s why we bought their lots that didn’t make it. I mean, I still scored them 86 and 87 and are great coffees by all means. After the competition they have delivered new lots from later in the harvest, and we have been buying these too. My goal is to commit to producers as much as my capacity as a business allows me to, and I’m very happy that I’m able to continue building my relationship with the Guarnizo brothers even after working for Nordic Approach. If I were you, reading this blog, I would head over to the offer-list and order one of the remaining lots from the competition. If you enjoy elegant and complex coffees with lots of tropical fruits and citric acidity, I promise you won’t be disappointed. 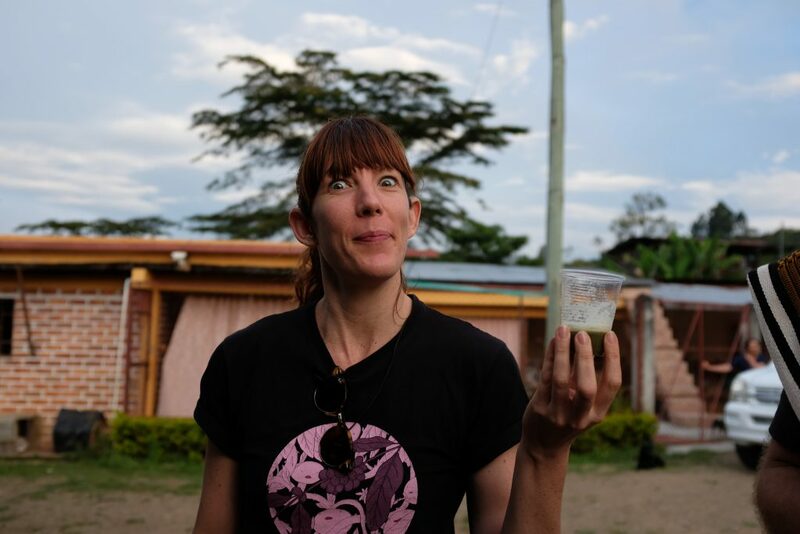 I would also seriously consider on joining an origin trip to your favourite producing country.